I am happy to have a spot for my all-time favorite Anime series, and possibly tv series in general, Cowboy Bebop. I need to thank my buddy Joel for insisting that I watch the first five episodes to give it a try. Well, once I got past the first episode, I knew this show was for me! This series has so much going for it. Heart is the word that I would use. A lot of anime seems to feel lifeless, but Bebop has heart and soul. So, please do as Joel instructed me, and go watch the first five episodes and give it a try. Now on to the movie. The movie is just another day in the life of the Bebop crew. It feels like a movie, and the stakes are really high this time around. It takes place in the midst of the series, and still gives me hope that they could make another film. 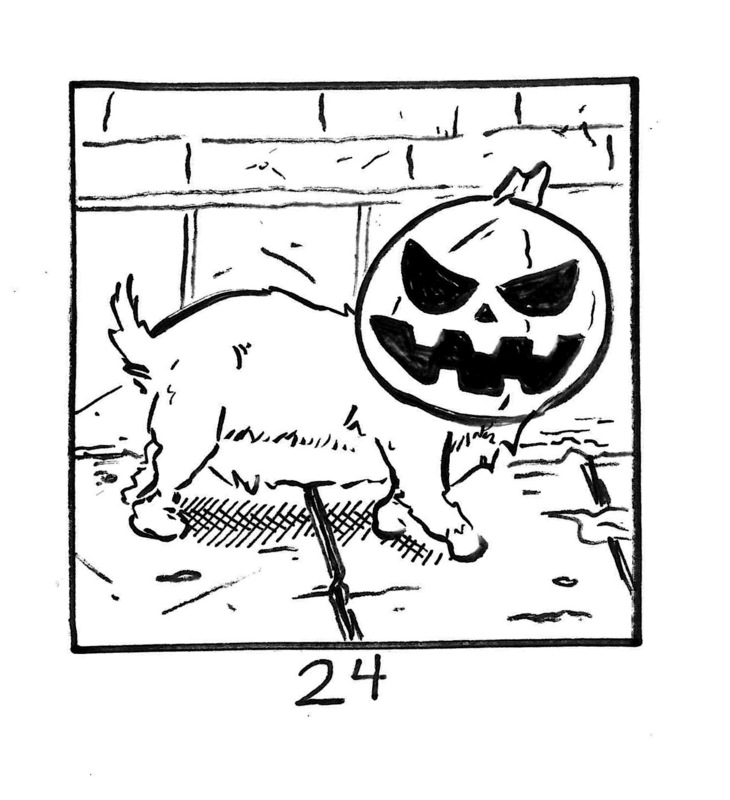 I depicted one of my favorite scenes in the film, and that is with Ein the Welch Corgi wearing a jacklantern mask! Most people would have done a Spike drawing, but not me. I have fond memories of seeing this in the theatre when it debuted in the US in Cambridge. Bebop for life! At one time, The Royal Tenenbaums would have been in this slot. I preferred that film over Life Aquatic for a long time. But time has shown that I have watched this way more times. The more you see this film, the more you pick up in it. The funny simple plot of revenge on a shark, the amazing soundtrack covering David Bowie tunes acoustically, the marvelous cast of characters and Bill Murray. This all comes together so nicely, and gives us a film that feels comfortable and fun everytime we watch it. Other things that make me smile about this film include, the model set of the ship, the attire that the Zissou crew wears including the hat, sneakers and blue jumpsuits, interns handling guns, and the scene where they raid the beach to the glorious music of Iggy Pop and the Stooges “Search and Destroy”. Personally, I feel this was Wes Anderson’s best film and the rest seem to decline from then on. His style didn’t feel like an imitation of itself at this point. This week on Sunday in Rander. I bring something back! Mini Comics! Here is another short strip in the universe of Rander. This one actually centers on Blane, and when he was younger. He was part of a group of do-gooders, who kept peace and justice in the five points. I named the other three after my Stock*Pile Friends. Sorry guys, but your fate has been sealed. This strip also features Hartter the bartender! I think I might do one more mini comic before I stop for a while. It’s not Sunday you are saying! You would be right. Then WHY am I posting Sunday in Rander on a Friday? Am I a Madman!? Yes, yes I am. 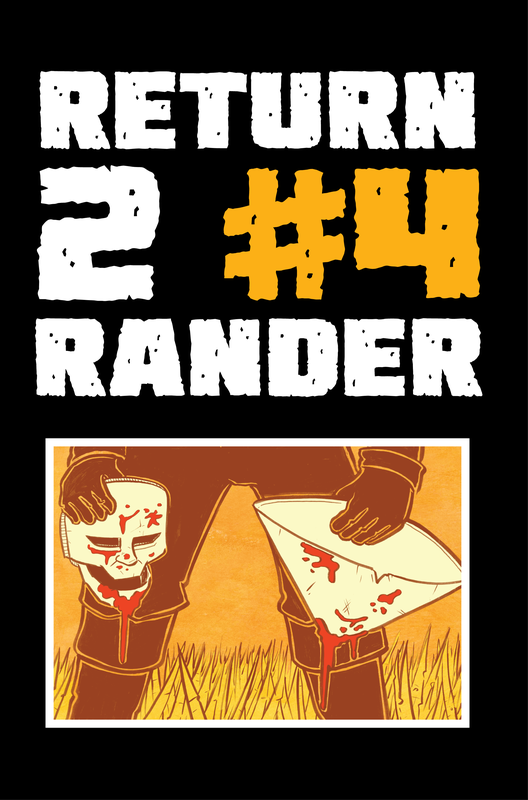 But with all the fun San Diego Comic Con news floating around, I wanted to throw my hat in and get a promotion of Return to Rander Issue #4 out there! It’s coming! And it’s big! 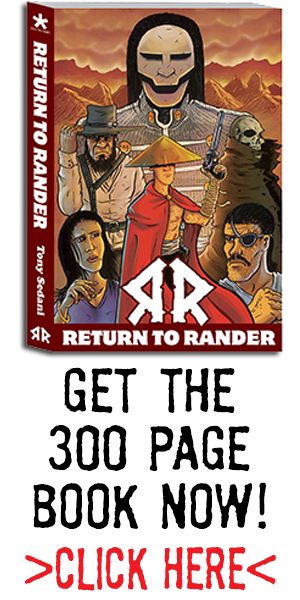 It will be a 44 page Giant Sized Rander issue! And still for only 3.99! Look for it to drop on Halloween! Anyone who dreses up as the Matador for Halloween gets a free issue! Peace! As far back as I can remember, Indiana Jones has been there. Temple of Doom was actually my first introduction to the iconic character, and as much as I love that flick, Raiders has always been the superior film. It’s films like this that have some kind of indescribable magic associated with it that you can’t create, they just happen. They tried to recreate it with the latest installation, but it was missing it. As for the Last Crusade, I think it’s a really fun adventure, but doesn’t take the idol. 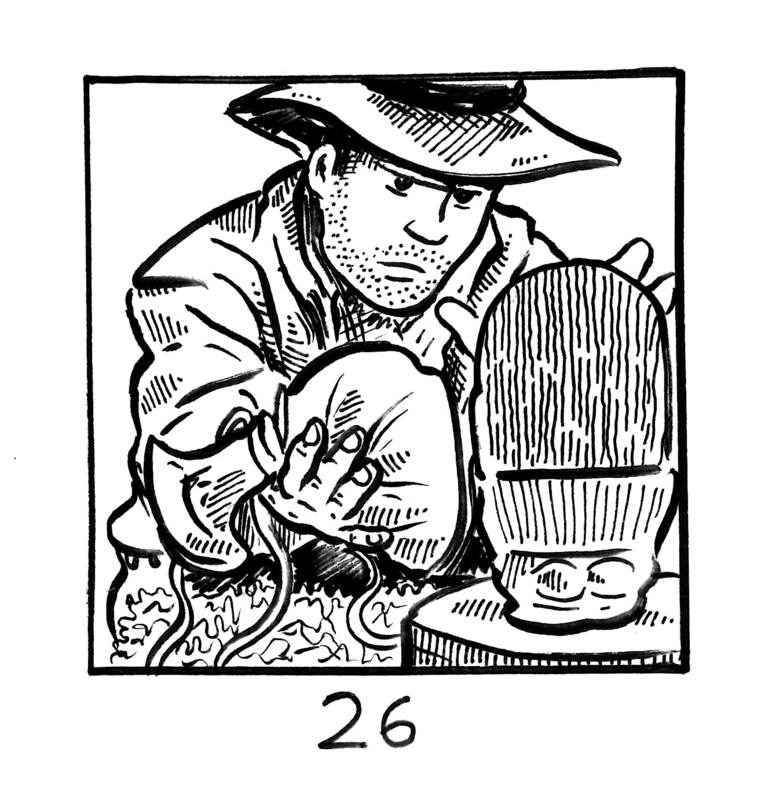 Along with my Return to Rander custom Munchkin cards, I had to have a monster in the deck that was… nearly unstoppable, relentless and strong enough to rip the arms off a man. 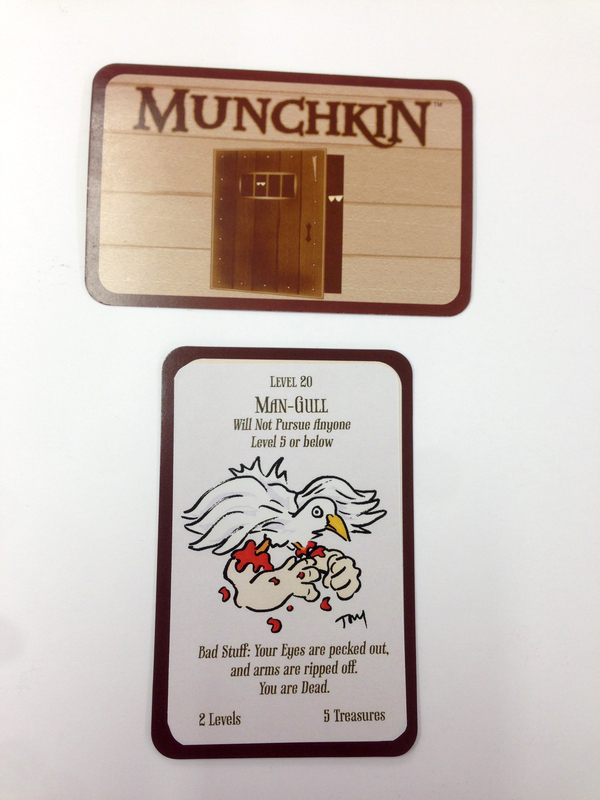 I give you the Man-Gull Munchkin card. No dungeon is safe when Man-Gull lurks in one of the rooms! 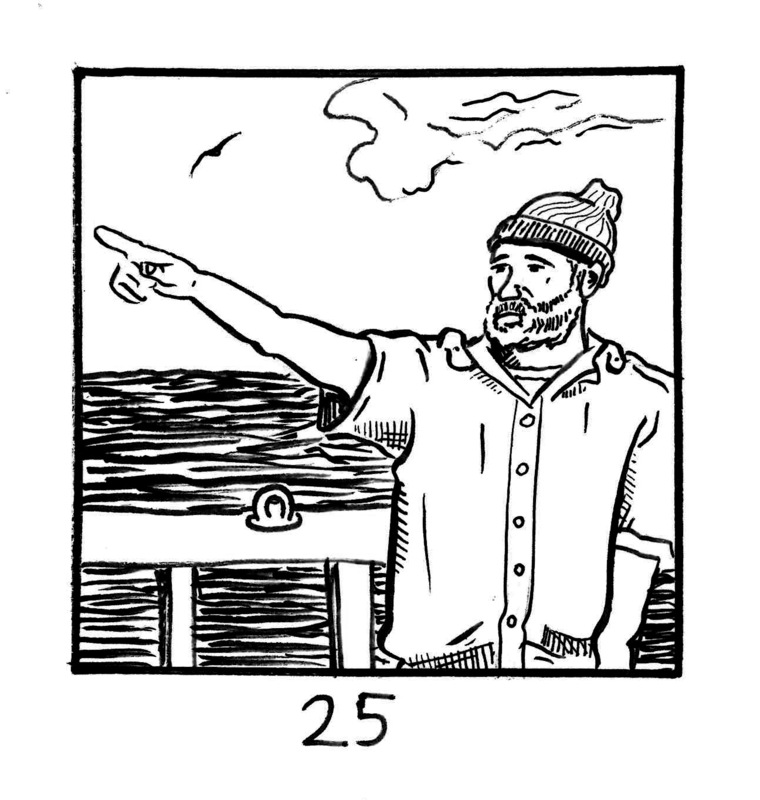 Make sure you read Man-Gull by my buddy Rian Miller. 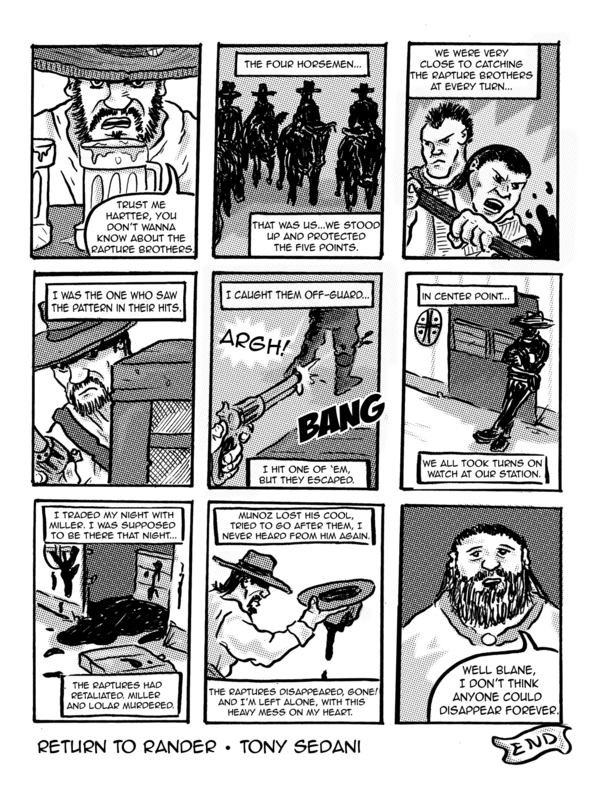 Go to http://www.stockpilecomics.com and pick up a copy. How can you NOT be a fan of Empire? This was a great sequal to the original classic Star Wars. 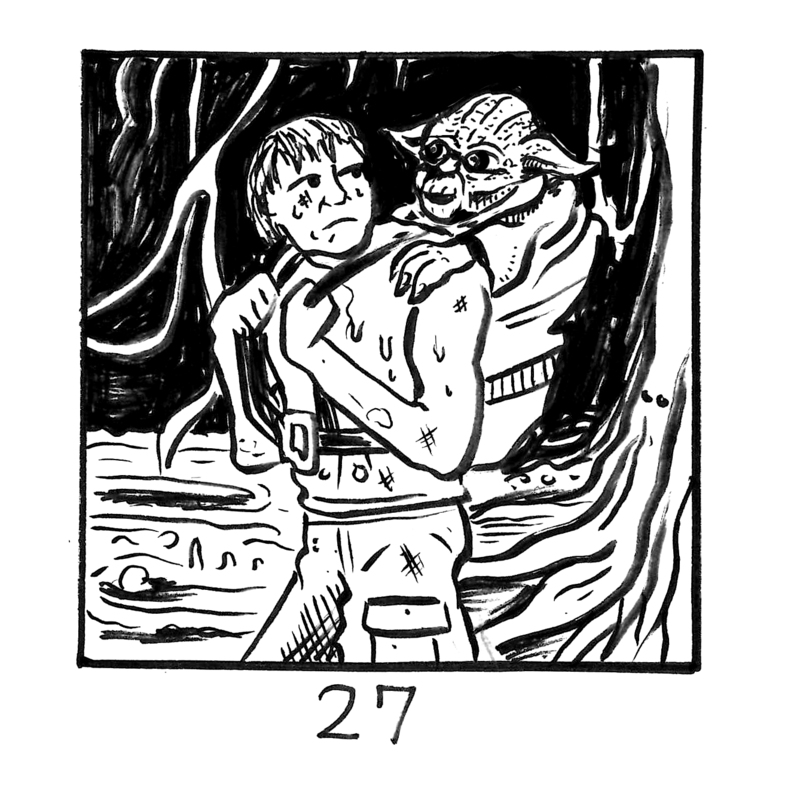 There are so many things that make this movie stand out; Hoth Battle, Boba Fett taking Han in carbonite, Luke and Vader’s battle, Vader’s revalation, and what I depict here, Yoda’s training of Luke on Dagobah. This movie ups the anti in so many areas.